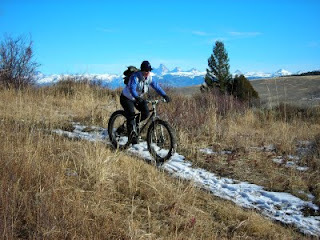 It was a great Thanksgiving week around Driggs, Idaho. A little snow & cold, lots of sunshine & fun. Thanks to all the friends for great get-togethers, and delicious turkey! Outdoor adventures were stellar, as always. 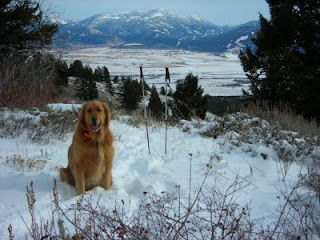 The week started off fairly snowy and winter-like, which Bridger thoroughly enjoyed on this snow hike in the Big Holes. We encountered fresh bear tracks, and snow depths up to about 6". Not much for late-November, but a start. The view of Taylor Mountain during our descent was awesome. 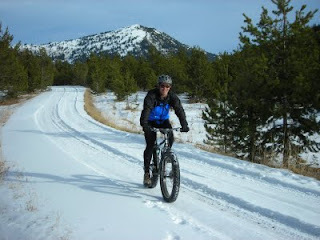 A Thanksgiving Day snow bike ride with Joanne kicked off the real fun. 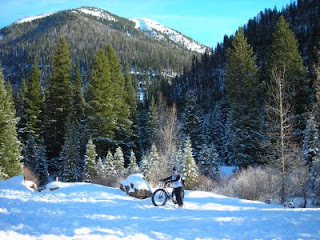 We rode from the house up Darby Canyon, and got into some pretty good snow by the end turn-around point. Joanne was loving it, and I must admit it's like being a kid again with those big 4" wide tires...like pedaling a monster truck. There's not really enough snow yet for skiing or snowmobiling, so we just kept riding the big snowbikes. This South Leigh Canyon outing with my buddy Dave T rocked, and I think he's hooked. 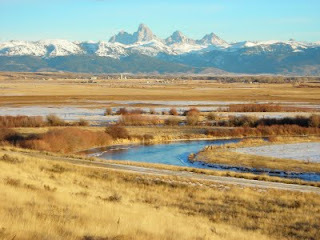 This was the view as I left Teton Valley for work at the end of the weekend. I stopped, took the photo, and realized how much this place has become a part of me. Makes it tough to drive away sometimes, I'll tell ya. Fergie nailed it with Meet Me Halfway. Happy December!